**6/15/2017 UPDATE** In season right now are Cotton Candy grapes from Mexico. Some of them are certified organic. The California crop grown by Grapery won’t be ready until August 2017. Like, each and every year I once again have a listing of stores that are stocking Cotton Candy grapes this season. These are the places to look. Call ahead to see if they have any in stock. Whenever I discover any confirmed sighting, whether via facebook, instagram twitter, e-mail, the comment section below, I will update the list with the confirmed sightings. I hope everyone that wants to try them this year will be able to. The season runs from early August through early September (season is about 5 to 6 weeks long). Want to be notified when Cotton Candy are in season from Grapery in California? 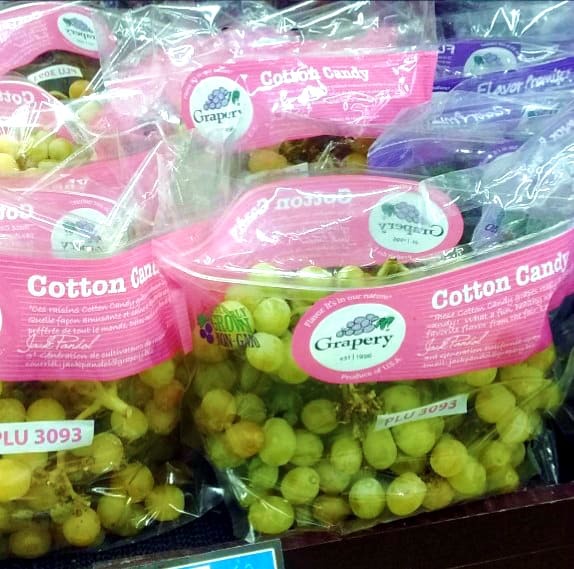 Get all the latest news on Cotton Candy grapes and other amazingly tasty grape varieties by signing up for our Cotton Candy Grape Mailing List. All you got to do is enter your email address below. Before you go into the store be forewarned, they may not be there. Sometimes they sell out fast. Some stores may not be getting a consistent shipment. I think we have gotten use to going to the grocery store and always finding what we want. Rarely do you not find green seedless grapes when you are looking for them. But rarely do we go looking for a specific green seedless grape from a particular grower. We just want green seedless grapes. If you did try to find a particular grower, you would probably notice that they weren’t available each day. Maybe a green grape from a different grower arrived on Thursday than they had on Wednesday. From my experience working in retail produce, I can tell you that communication to the people that stock the produce isn’t always good. Often they are under pressure to come up with an answer for that customer based on what they know (or don’t know). Those answers may not always be accurate. Here are things you might hear or I have heard or read. This does happen from time to time. Grapery’s grapes do have limited availability on particular varieties. It is a great way to get the customer’s wrath off of yourself. So until Grapery says the season is over, don’t give up. When something was in stock and then suddenly disappears this is what people commonly believe. 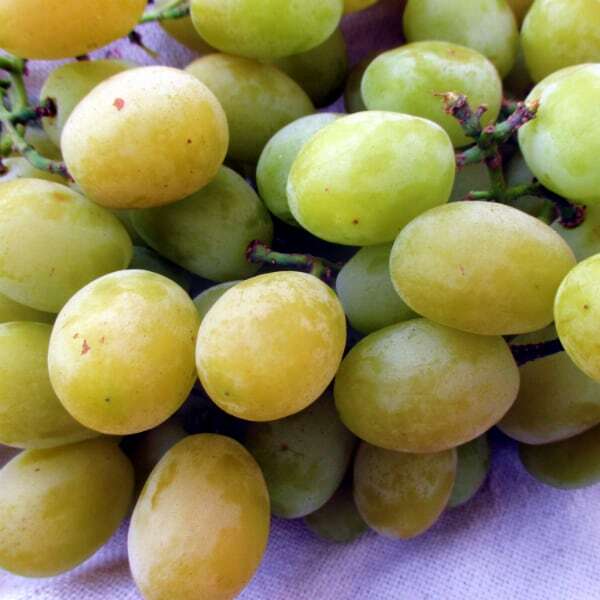 Especially with Cotton Candy grapes now that there are limited supplies coming from Mexico in the early summer. Some produce workers believe that the season was over with those. Grapery says they will last into early September. How Did They Get Them to Taste Like Cotton Candy? Wonder how they got grapes to taste like Cotton Candy, check out my answer to the question “How Did They Make Grapes Taste Like Cotton Candy“. Just in case you want to do a proper comparison to see if Cotton Candy grapes really do taste like cotton candy, you could always buy a cotton candy machine and make it a batch yourself! Here are the stores that Grapery supplies grapes to. They only know what type of store they go to, not specific stores. That is up to each store’s distribution center and buying teams. In some cases, the individual store has control over how much they get. Some buyers at the store level may order more or less than others. Always best to call ahead, especially before making a trip of any significant distance.